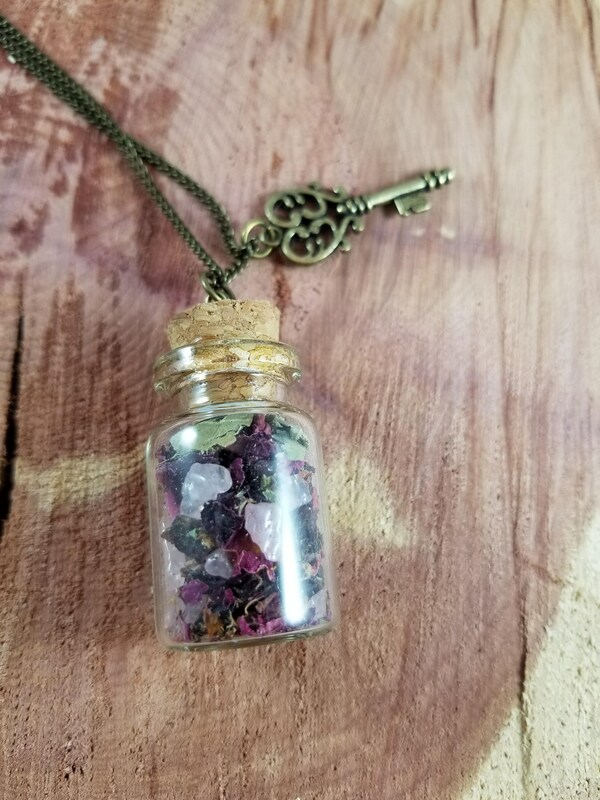 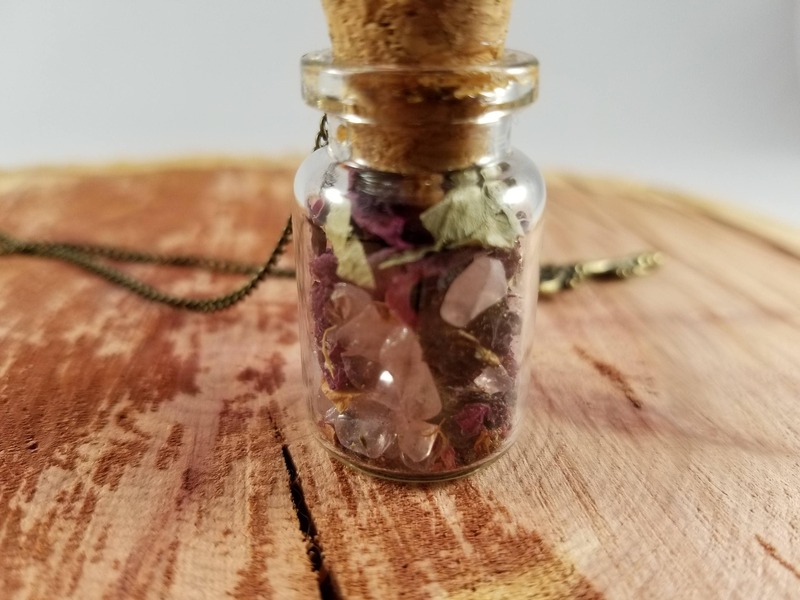 This vial was Handcrafted by me and it contains Rose buds, Rose Quartz chips and Hibiscus; it was created with Sacred intentions, and comes fully charged, cleansed and ready to be worn. 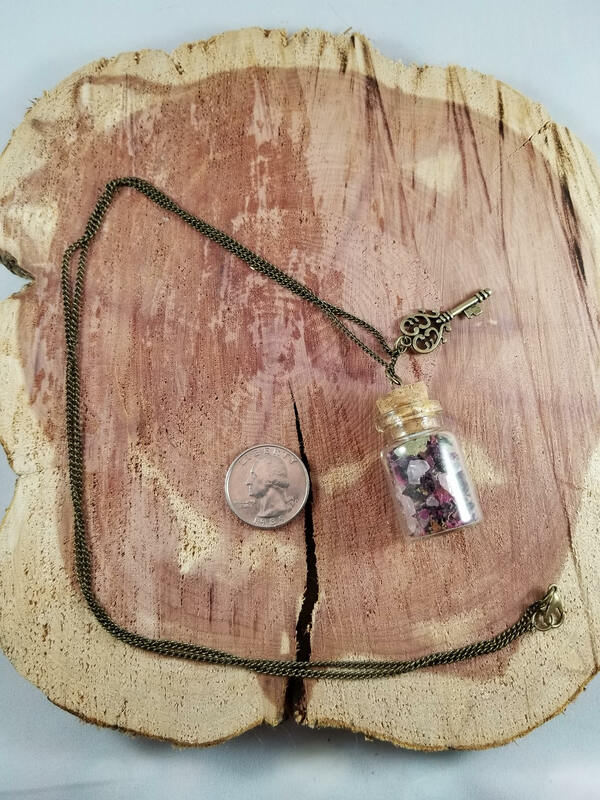 The vial itself is larger around, and heavier than my other ones, and is about 1 inch in length. 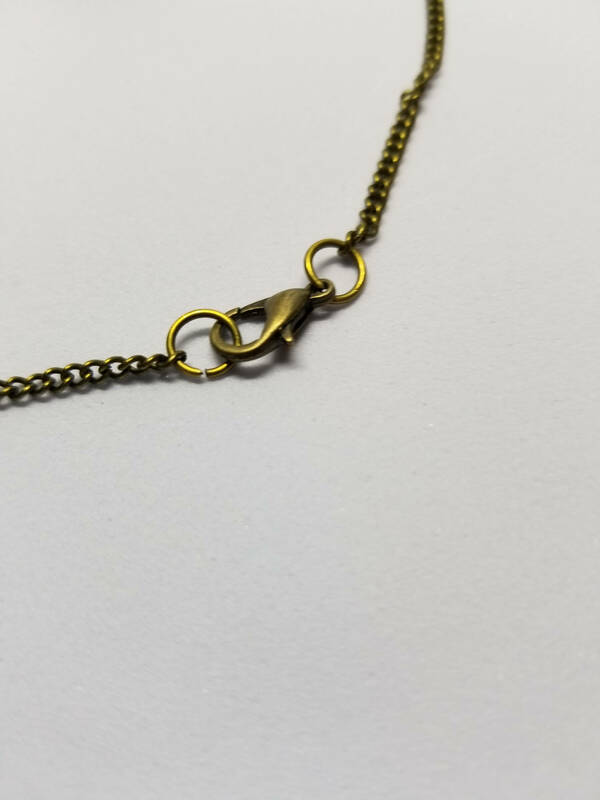 It comes on a 24" Antiqued Gold Chain w/ a Skeleton Key Charm. 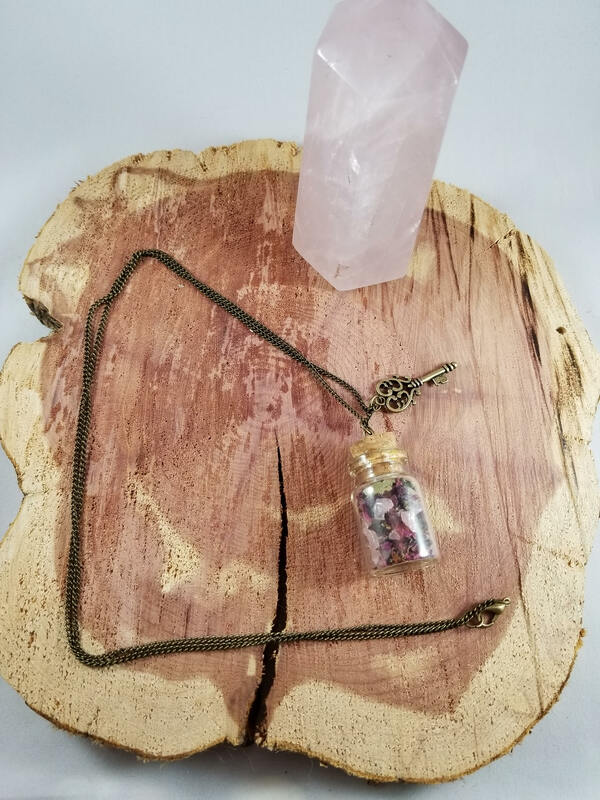 FRANCE RESIDENTS: I am unable to ship jewelry to your country.